Back in the old days, people had limited entertainment options, largely because dial-up internet connections couldn’t handle streaming services. Just imagine trying to stream your favorite TV shows on a 56k modem. It would buffer every few seconds. Now as we have High-Speed Internet Service like Roku, we can stream as much as we want. High-speed internet services have changed that, though. 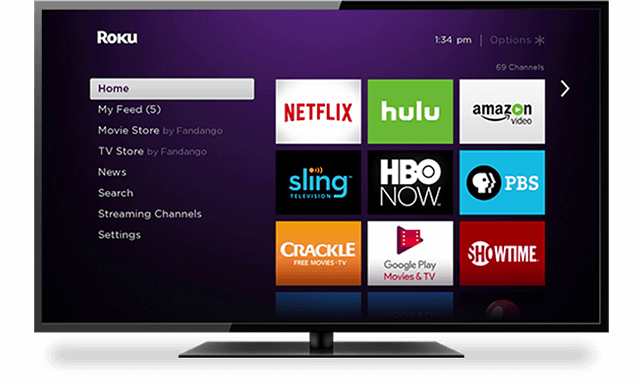 The fast internet opened the doors for all kinds of streaming technologies, and the Roku is one of the best. When you combine a Roku streaming player with Premier Broadband’s high-speed internet service, you will gain access to more entertainment than you thought possible. Check out what you can expect if you set up a Roku. Then, you’ll know why this is the best choice for expanding your entertainment options in Hope, Arkansas. The Roku is essentially a streaming player. It comes in box and stick form and connects to your TV and your high-speed internet service. Once connected, you can choose from an assortment of apps that include Hulu, Netflix, YouTube, and Amazon. Some of the apps offer free content, and others offer paid options. The content might vary, but one thing remains the same. If your internet connection is slow, you will experience a lag as the video buffers. However, if you have a high-speed internet connection, it will be just like watching TV from your cable provider. There won’t be a lag, so you can jump from one piece of content to the next without delay. In fact, it’s such an easy process that many people cancel their cable service after setting up the Roku. Roku has come a long way over the years. Now, you have countless options for choosing a Roku, and each works perfectly with high-speed broadband from Premier Broadband. Thus, it is simply a matter of personal preference. If you want high-definition viewing at an affordable price, check out the Roku Express and Roku Express+. The Roku Express+ was made for older TVs. It supports 1080p HD streaming, but you have the option of connecting it with A/V cables. If your TV supports an HDMI cable, the Roku Express is the right choice. Just plug the HDMI cable into your television, connect your high-speed internet service, and start watching. You’ll be immersed in a new Netflix series in a matter of minutes. It’s that simple. Do you prefer something that is flexible and versatile? If so, check out the Roku Streaming Stick. Instead of setting up a box, you plug a stick into the HDMI port on your TV. You can connect it to your high-speed internet at home, and then, if you travel, take it with you and connect it to the internet at the hotel. The Roku Streaming Stick has another major perk. It has a “point anywhere” remote, so you don’t have to point the remote at the TV to work. If your chair isn’t positioned right in front of the TV, you might want to go with this option. That beats waving your arms around when trying to use the remote. Do you have a 4k TV yet? Yes? Then consider getting the Roku Streaming Stick+. This powerful little stick supports 4k, HD, and HDR video. The video will stream to your TV seamlessly when you have high-speed broadband. It also has the point anywhere remote, and you can control the remote with your voice. Can it get any better than that? Well, maybe it can. The Roku Ultra is the granddaddy of all the Rokus. It’s what the other Rokus aspire to be, but it’s also the most expensive. You will have to fork over more money for this little guy, but if you want a full media center, you can’t beat it. It streams 4K, HD, and HDR video without any problems, especially if it’s connected to high-speed internet. It also has microSD and USB ports, so you can stream your digital media library with it. It supports a ton of video and audio formats, so you will get everything you need and then some with this box. That’s all great, but the coolest part is the remote. You’ve likely lost your remote a time or two, right? Well, this remote has its own speaker. If you can’t find your remote, press a button on the Roku, and the remote will beep until you find it. The remote also has a headphone jack, so you can listen to your favorite movie while the baby sleeps beside you. It really takes care of everything. You’re excited about your Roku. You can’t wait to have one shipped to your home. Before you place your order, though, make sure your internet is up to speed. Premier Broadband is the best option for high-speed internet in Hope, Arkansas. With blazing-fast speeds, you don’t have to worry about any sputtering or buffering while watching videos on your Roku. Contact us today to learn more about broadband in Hope, Arkansas and the surrounding area.